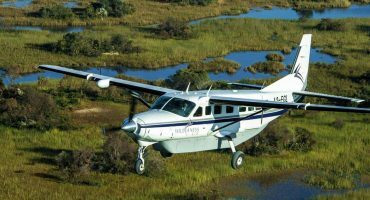 Are You Planning A Tanzania Safari To Lake Natron? Scroll Down.. 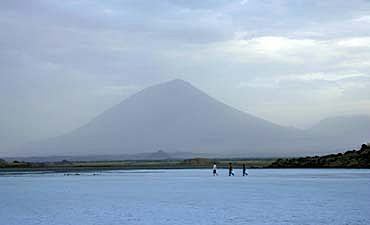 Located just seventy miles northwest of Arusha is the alkaline Lake Natron bordering Kenya. A small part of the lake is also accessible from the Shompole wilderness in southern Kenya. As you plan your Natron lake tour of northern Tanzania with AfricanMecca, you may discover the great myth surrounding the lake -- that it has the ability to turn animals into stone. Although the water of the lake does contain soda, magnesite and salt, the myth is untrue. Lake Natron is primarily fed by the southern Ewaso Nyiro River, as well as hot mineral springs. As the fresh water vaporizes, what remains is water with high concentrations of salt minerals. Special bacteria and blue-green algae thrive in the environment, producing an ideal breeding ground for avian life. The lake is, in fact, the primary breeding ground for lesser flamingo in East Africa, with more than two million individual birds flocking to the area every year with egg laying and hatching occurring between September and April, with an additional tens of thousands other waterfowl found near the lake, making Lake Natron a prime destination for bird lovers on an avian holiday in Africa. You may also spot the white-lipped tilapia that is endemic to the Great Rift lakes, as these fish are quite abundant, and the occasional giraffe or zebra. Since the lake is alkaline, the animals do not drink of it. 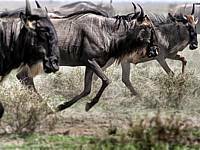 Lake Natron also gives you a superb supplementary point for other destinations, such as the Ngorongoro Crater Highlands to the south and the Serengeti Plains to the west of the Natron. Ol Doinyo Lengai is a volcanic attraction here at Natron. 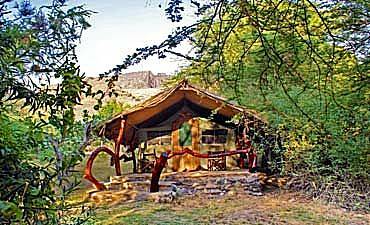 The two accommodations are Moivaro Lake Natron Tented Camp and Ngare Sero Lake Natron Camp. 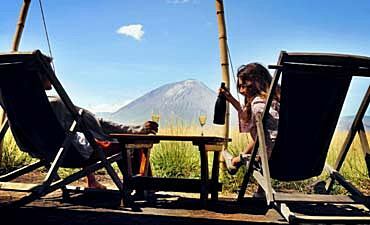 Both camps are located near the lake, so you always have splendid views of the volcanic landscape and lake. The scenery around Natron is what attracts visitors for their adventure travels. 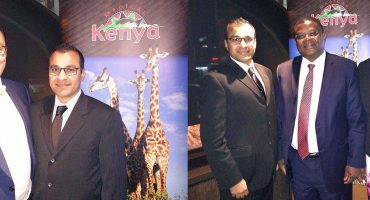 Touring in expedition mode encompasses varied activities e.g birding, volcano climbing, Maasai walks, excursions etc. The flamingos of Natron lay their eggs normally during the end of the dry season in September and October but the hatching starts in the early parts of the wet season, and climaxing by December. 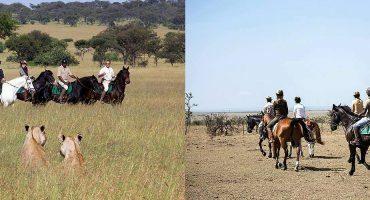 When visiting Lake Natron (Great Rift Valley Lake), we recommend combining it with your Northern Tanzania safari to Tarangire, Lake Manyara, Ngorongoro Crater and Serengeti (wildebeest migration). End your trip with a Swahili cultural tour and beach holiday in Zanzibar. ARE YOU PLANNING AN AFRICAN SAFARI TO LAKE NATRON IN TANZANIA? HAVE YOU VISITED LAKE NATRON FOR AN AFRICA SAFARI IN TANZANIA?